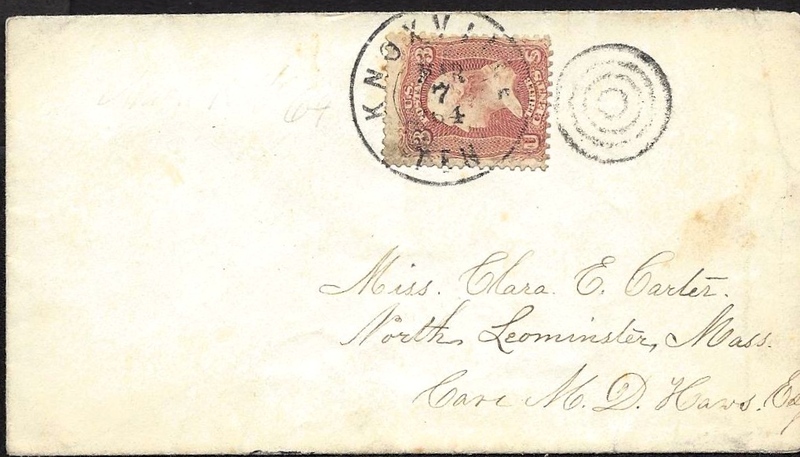 This letter was written by Corporal Albert H. Carter (1844-18xx) of Leominster, Massachusetts, who enlisted as a private Company A, 36th Massachusetts Infantry in August 1862. He was promoted to corporal on 1 January 1864 and was “shot dead near Spottsylvania in the Battle of the Wilderness, May 6, 1864” according to the book, Leominster, Massachusetts, Historical and Picturesque, by William Andrew Emerson. His body was originally buried at Wilderness Battlefield, Spotsylvania but later reinterred in Grave 3741 at the Fredericksburg National Cemetery. It is believed Albert was the son of Nathaniel and Lodema Carter of Lynnfield, Essex County, Massachusetts. It is a fine day. We are over the river a few miles from Strawberry Plains. We crossed today. The rebs left several days ago and we came up from Knoxville and stopped the other side of the river till this morning. Yesterday I got a letter from you and one from home and today I received another from you. We are on light marching orders for fifteen days and fifteen days rations are ordered. The boys are well, but [George S.] Arnold is short of sole leather and he stayed back with two or three others to take care of our knapsacks. My legs are not not just the things to go round out here with but I get along the best way I can. Only eighteen months more after today. That is not a great while if we only have good health. There is one of the boys from our company that started home the other day to recruit. His name is Joseph Humes (Sergeant) from Ashburnham ² and you or the folks may see him — some of you. We started off on picket that night so I did not finish this and we have been bumming around since so there has not been much chance to write till now. We have been up as far as Morristown since and back as far as Mossey Creek. Some of the time it has rained and some of us had no tents to lie under, but I got into an old shed that would stop a drop once in a while and kept up a good fire and made out to stick it through till it cleared off. It froze considerable so we came back here. Last might we were kept up most all night so we have been asleep today considerable. Those puzzles are not very hard to put together. Here is one and the other will go most anyway. I lost the pieces so I forgot what pieces there was. I tried them once or twice and they came out in shape. 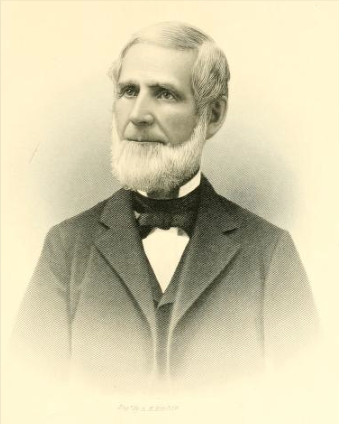 ¹ Manson Dana Haws (1817-18xx) was a major shoe manufacturer in Leominster, Massachusetts. ² Sgt. Joseph Hume of Company A, 36th Massachusetts, was killed on the bloodiest day of the Battle of Cold Harbor on June 3, 1864. He was a twenty-year-old mill hand who was born in Ashburnham, Massachusetts. He entered the service as a private on July 28, 1862 and was promoted to sergeant major as he traveled south to fight at the Battle of Cold Harbor. 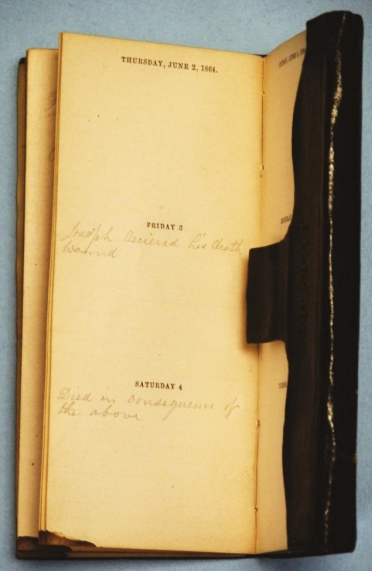 A compatriot completed his diary on June 3 with the words, “Joseph received his death wound,” and the following day “Died in consequence of the above.” The diary was apparently on Hume’s person at the time of his death in light of the bloody stain in the corner. This entry was posted on Thursday, July 3rd, 2014 at 4:09 pm	and posted in Uncategorized. You can follow any responses to this entry through the RSS 2.0 feed.